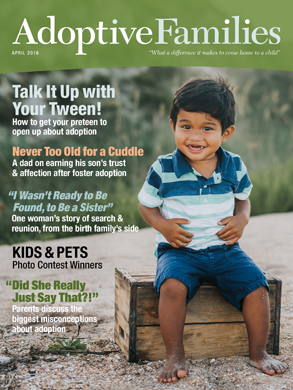 Share your reactions to articles from the latest issue of Adoptive Families magazine. The Fall 2013 issue of Adoptive Families magazine includes a round-up of reviews of movies with adoption storylines or themes�“some handle the topic well, some handle it poorly�“so you can plan a family movie night that will prompt a thoughtful post-viewing conversation. Read “Emotional Pictures.” Have you and your children seen any of these films? If so, what was your child’s reaction to the adoption story? Are there other movies with adoption themes you’d recommend�“or advise families to steer clear of?